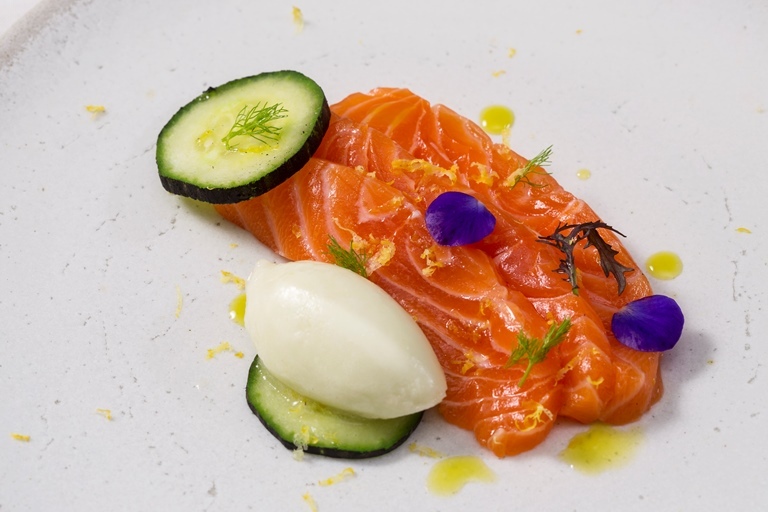 Russell Bateman's salmon starter recipe ensures cucumber is the star of the dish, with thick cut cured salmon the perfect foil for the refreshing sorbet, sweet pickle and charred slices of cucumber. The salmon, sorbet and pickle will need to be prepared at least a day before so ensure you start in plenty of time. If you don't have a chamber vacuum to compress the charred cucumber you could just infuse the slices in vinegar for a few hours instead.